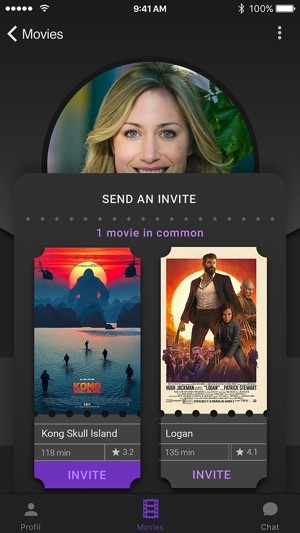 Cinenow, the application for inviting and planning a movie night. Get in touch with a woman or a man with the same movies interests . This is a good start for a new relationship. 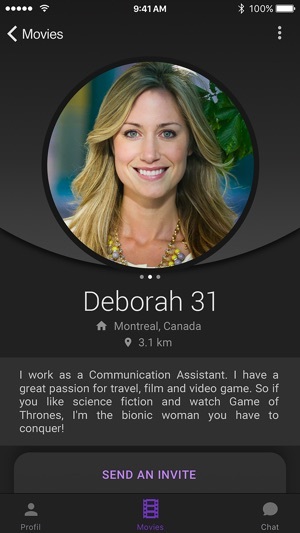 This app is original, attractive and stimulating to make real date. - Select the movies you want. - View moviegoers who have selected the same movies. - Send an invitation to the people you are interested in. - Plan your meeting around the chat room. 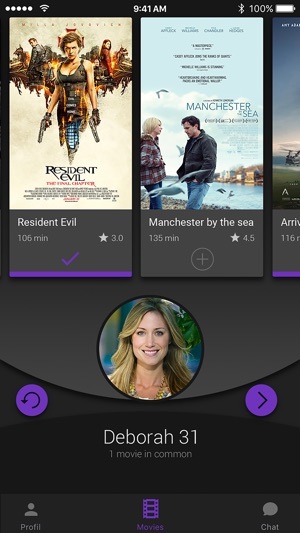 The application gives you free access to movie trailers and cinemas near you in United States and Canada. All you have to do is meet and buy your movie tickets. Cinenow is easy, share your Popcorn. 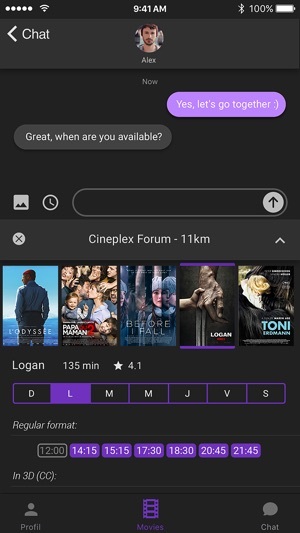 Cinenow is free to download and use. We also offer an optional subscription package. To become a subscribed user of Cinenow, you can select one of three subscriptions : One month for 2.49$CAD, three months for 5.49$CAD and one year for 14.99$CAD. Prices are in Canadian dollars and may vary in countries other than Canada. All payments are charged to your iTunes account at confirmation of purchase. Your subscription is auto renewable meaning after it expires, if you do not deactivate it (24 hours prior to its auto renewable date), a new payment will be made on your behalf automatically. You can always cancel subscriptions by going into your settings, iTunes & App Store , tapping on your apple Id and then going into your subscriptions. Ex: If you purchased a subscription of one year and enjoyed our services, at the end of the year you will be automatically charged 14.99$ another time and remain subscribed for the next year. Becoming a subscribed user means that all ads will be removed and you will be able to enjoy unlimited invites to users within the app. You will have unlimited credits.